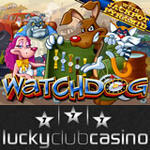 LONDON, ENGLAND, January 15, 2013 – A crafty junkyard pooch and his artful associates turn trash into treasure in the new Watchdog slots game at metro-style Lucky Club Casino. The 25 pay-line video slot is another unique game from Nuworks with Win-Win and Jackpot Pyramid features. Until Monday, players can get up to $400 free to try the new game. To claim a 100% deposit bonus (up to $400) they just enter the coupon code WATCHDOG when depositing. This offer is valid until January 21st only. Three or more animated Wild Watchdog symbols trigger a bonus round where players pick their prizes by selecting a watch from the devious dog’s suspicious stash. They can win free games and prizes up to 12x. Since Watchdog is the latest Nuworks game to include the Win-Win feature, even the smallest feature wins are transformed into great prizes. 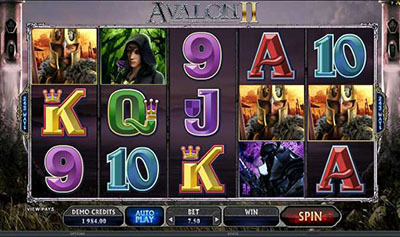 The new slot also includes the Jackpot Pyramid feature where players climb to the top of an ancient Mayan pyramid to win one of five progressive jackpots. Designed to complement the new Windows 8 “metro style”, Lucky Club Casino has dozens of NuWorks casino games (US Players Welcome!) 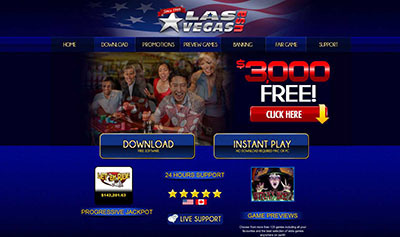 including video slot machines, video poker games (Deuces Wild, Jacks or Better, Joker Poker) and table games (Roulette, Blackjack, Tri Card Poker). Watchdog has a progressive jackpot that’s starting at just over $1000 and there are Major, Minor and Mini random jackpots as well. At over $1,010,000, the Monster Millions slot is still the biggest progressive jackpot at Lucky Club. African Skies, Greek Goddess and Duck Ages are linked to one jackpot that is now approaching $100,000.